2015 Guests Artists - crossoverprojekts Webseite! zeitgenössischen Tanz Würzburg“. During that program she also participated in many productions and projects of the dance theater group “Siebold Expressive Movement”. 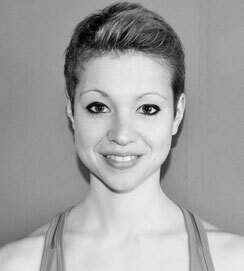 After finishing school, Theresa moved to Berlin to start a 3-year professional dance program at Tanzakademie balance1. During her time there, she created her first works, a solo titled “captured in thoughts” and the group work “Was denkst Du” (What are you thinking?). While still in the program, Theresa began working intensively with Isabel Gotzkowsky & Jon Zimmerman. She joined their project “Compagnie Isabel & Jon” in the summer of 2012 and performed with the company in Berlin in September 2012, immediately after graduating with a diploma from balance1 in August. Following the Berlin performances, Theresa joined Isabel for a project in New York, where she performed in two works by Isabel as well as assisting her in the creative process during a 5-week residency, which included a total of five performances in Manhattan and Brooklyn. Since 2013, Theresa lives in Hamburg, where she works as a dancer, Pilates Instructor and Personal Trainer. She co-founded an agency for Sports and Training, “mein fitnesscoach”, with her partner, Martin Hausmann, in 2014. During the same year, she started participating in a University program for “Sports and applied Movement Science” at the H:G in Berlin. Theresa was an administrative assistant to Isabel for the Crossover Projekt in 2013/2014, which she helped initiate. Additionally Theresa performed in the works of 3 choreographers in the Crossover Projekt 2014, before she was invited as a guest choreographer for 2015. Dagmar Spain (Choreographer, actress, dancer) was born in the former Czechoslovakia and studied dance at the Hochschule für Musik und Darstellende Kunst in Frankfurt (BFA). She worked with the Bremer Tanztheater until she moved to New York to complete her MFA from the Tisch School of the Arts. Dagmar lived in New York for 20 years where she founded her company Dance Imprints and participated in many dance and theater productions. From 2009-2014 she lived in Prague, where she has worked as a choreographer and actress in film, television and stage and is currently working on a documentary film about her Czech family history. For the past few weeks she had completed her new performance “ Talk to Me” in her beloved Cornelia Street Cafe, an artistic landmark in New York City. In NY she also recently created a new theatre work-in-progress with actors Jorge Montenegro, Iorgo Papoutsas and director Azadeh Mohammadi. In the end of January 2015, Dagmar made Berlin her new home base and she is excited to be again involved with the Crossover Project this year. www.danceimprints.com. 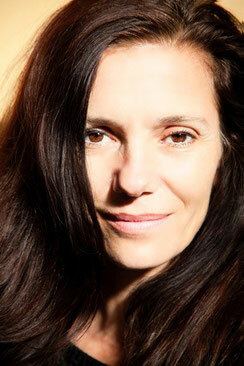 Heidi Weiss received her BFA in modern dance from the University of the Arts in 1992. She choreographed and performed with Group Motion, a Philadelphia based Company, from 1992-96. 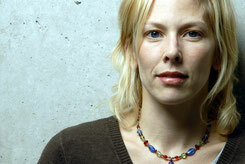 In 1997 she moved to Germany and founded Zen in the Basement Co, with Jennifer Mann. They have created many works together which have been presented in theaters and festivals in the EU and abroad. Heidi has been teaching various modern techniques for many years. She has developed with J. Mann- the weissmann technique*, which she continues to teach in workshops and in Universities. Heidi continues to perform with Jennifer Mann, their most recent duet "Do or Die", was presented in the 19.Tanzwoche Dresden and in Dock 11 Berlin, as well as TanzHerbstKempten in October 2013. Heidi is a member of the TanzZeit team since 2009, teaching in Grundschulen, as well as giving training to the Jugend Company"EVOKE". She has been a teacher of Horton, Graham, Contemporary, Partnering and Composition at Tanzakademie balance 1 since 2007.She also teaches profi training on a regular basis in Marameo, K3 Hamburg and NRW in Düsseldorf. Jon Zimmerman (Creative Assistant and Dancer of the Crossover Projekt), born and raised in the US and recent immigrant to Berlin, studied classical acting for two years at Virginia Tech, and then transferred to James Madison University, where he obtained a Bachelors of Science in Dance in 1994. Upon graduation Jon moved to California to dance with Jerry Pearson and the Santa Barbara Dance Theatre. 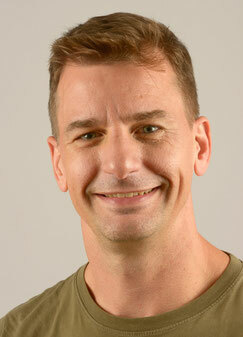 He then moved to Pittsburgh where he was an apprentice with the Dance Alloy under the direction of Mark Taylor. Jon moved to New York City in August of 1997 and performed with Aviva Geismar, Randy James, Guido Tuveri, fiona marcotty/beat upon beat, and Sasha Soreff. From 2000 - the end of 2011 he performed with The Carolyn Dorfman Dance Company and since 2000 with Isabel Gotzkowsky and Friends. Jon’s choreography has been presented at Dance Theater Workshop‘s “Fresh Tracks,” Dance Now Downtown, New Dance Group Arts Center, The Evolving Arts Theatre, Dixon Place, Saint Michael‘s Church, and at the Williamsburg Arts neXus and in Stockholm in 2012. For twelve years (2000 – 2011) Jon taught Pilates on Manhattan’s Upper West Side and since 2013 at Studio A Pilates in Berlin, a studio his wife, Isabel Gotzkowsky, owns. Additionally he works as a freelance dancer and dance teacher and as an actor at the Deutsche Oper. He and Isabel founded the Berlin-based dance company ‘Compagnie Isabel and Jon’, which held its Debut production in Berlin in the fall of 2012. Last year, he offered his talent as a dancer to the Crossover Projekt and is sounding board and creative partner to Isabel in the creation of new work. This year he gifts the project his duet "Mergers & Acquisitions".